"First gain the victory, and then make the best use of it you can." "The cost of managing IT infrastructure is four to five, or even ten times the license cost. It’s enormous. We’ve eliminated all the cost to manage this stuff, so that’s a huge advantage for BPOs." Phil Fersht: Zach, there’s been a lot of talk in our industry around business-process-as-a-service, or business as a utility, with an entire business process being accessed by a pay-by-the-drink model, hosted in the cloud. How do you see BPO, SaaS and cloud all coming together? Is it going to be a reality? Zach Nelson:I don’t think there is any question that service providers will have to move their infrastructure into the cloud just as end users are starting to do. There’s no stopping it from a cost and productivity standpoint. Also – and what I believe is really driving this revolution in how IT services are delivered – is that customers are demanding it. So the Tata’s of the world and the people that are really tied to the SAP boat-anchor will begin to acknowledge that even though they have a lot of business with SAP, the customer wants a cost reduced environment, and something that is faster to deploy, SAP is a bad answer, and they have to transition their business model. We all saw IT budgets shrink during the downturn, and more was spent on the Cloud because of the cost reduction capabilities. Now the Genie is out of the bottle, they saw the benefit they got from the Cloud, so the Genie isn’t going back into the bottle. The customers are beginning to demand services like what Genpact and NetSuite are aligning to provide. That’s the shift you see going on now. Phil Fersht: We’ve seen a lot of SaaS/BPO partnerships spring up in the last year, but some of them just don’t make sense. We’ve seen, for example, some providers partner with PeopleSoft to deliver it in some form of pay-by-the-drink environment, but it simply doesn’t work because getting to multi-tenant scenario with PeoplSoft is just too challenging. What makes your partnership with Genpact a game-changer? Zach Nelson:Our model is very different than theirs. We are effectively replacing an on-premises instance of Oracle or SAP with a BPO-enabled offsite version of NetSuite. This is a new and different way to replace those Stone Age on-premises applications. The reason the other model doesn’t work is that it’s the same model that failed in 1998. You take an application that wasn’t designed to be hosted or managed in a hosted environment and you do it anyway. It’s just too expensive. So you’re just shifting all that from the customer’s premise to the provider’s premise, and now the provider has to deal with the cost. It doesn’t go away. And as you know, the cost of managing IT infrastructure is four to five or even ten times the license cost. It’s enormous. We’ve eliminated all the cost to manage this stuff, so that’s a huge advantage for BPOs. And from the customer’s standpoint – the challenge with serving the mid-market is how to deliver SAP-like complex functionality with a few zeros missing off the purchase order. We figured out how to do that, and we’re transferring that knowledge to Genpact so they can deliver the same sort of efficient, streamlined implementation that we’re delivering to our customers. That’s a very important part of the equation. By transferring that knowledge, Genpact can take it to the next step of adding BPO capabilities on top of NetSuite. I can’t really envision a future where this isn’t the dominant way BPO is done, but the legacy approaches and legacy relationships definitely hamper the rate at which this stuff is being taken up by clients. Now with that said, a client that Genpact enables on NetSuite with their business process knowledge built on top of it, will have a mass advantage over someone, such as Tata, may implement with the same old SAP methodology. The cost model will be completely different, the productivity model will be completely different. So what you’ll see is the companies moving to Genpact will have an enormous competitive advantage over their competitors that are stuck in the traditional outsourcing model, and that could accelerate the way in which companies demand a solution that looks more like Genpact’s. Phil Fersht:One of the biggest issues we’ve seen with the software-to-market channel has been with the value added resellers which see BPO as a threat to their business, where they make all their money supporting finance applications, etc. Are you seeing this dynamic in play where the VARS are very nervous about the BPOs coming into their domain? Is this something you think is going to be a conflict, and will it impact your relationship with the VARs with whom you work? Zach Nelson:The VARs we deal with are not that worried about it, because most BPOs have not moved down market to the point where they threaten that classic mid-market VAR. Now, with Genpact’s strategy, that collision may happen at some point. But this sort of mid-market VAR spans a 10- person company to maybe a 1,000 person company, so you’re talking about a big market there. I think the mid-market VAR is more concerned with two things: first is how they make money in the Cloud, and second is who the new competition in the Cloud for that dollar. What they are looking at, is how they transform their model from this on-premise, one-time license to this new sort of recurring revenue model. That’s their big issue today. And we’ve put together a number of programs that assuage that part of the equation so they can first make the transition and then worry about who they compete with. Phil Fersht: Zach, it's been a real treat to have you guest on Horses for Sources - our readers will really enjoy hearing your story. 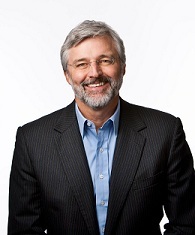 Enter NetSuite &#8211; the new admiral of BPaaS?